As with what seems like every car manufacturer in the world, Audi have announced they are aiming to rival Tesla in the electric vehicle industry. Rupert Stadler, the chief executive of the Audi has reportedly given the all clear for an all-electric luxury Sedan to be designed and constructed in a bid to challenge the highly successful Model S of the Tesla brand. If all the objectives of Audi are met then it would be very reasonable for them to expect to challenge the Model S, reportedly going to be called the ‘A9 e-tron’, it’s expected to be able to travel 300 miles per one full life of battery, will be a level 4 for autonomous driving and is going to consist of three electric motors. 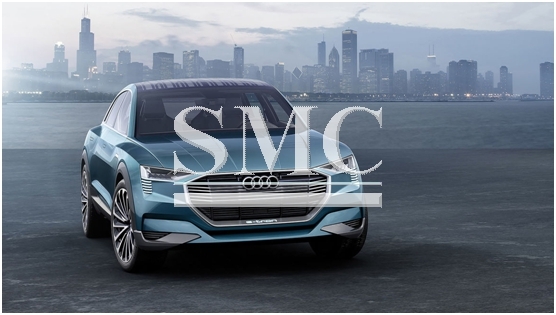 Stadler has stated that Audi intends on having three different electric vehicles in its fleet by 2020 and by 2025, wants 25% of all sales to be accounted for by battery powered vehicles. In January, the Audi group committed to building an all-electric SUV using the concept established from their e-tron Quattro range, it’s expected that production of SUV will begin in 2018. Anyway, back to the Sedan, Audi have said that the ‘A9 e-tron’ will follow on from the impressive features of the e-tron Quattro and expand further. Arguably the most impressive feature was that of the re-charging plate, where by the vehicle parking over it, it will then charge your car as opposed to having to plug it in. In addition to this, the autonomous setting on the ‘A9 e-tron’ is going to enable the car to drive itself to a parking spot where there is an accessible re-charging plate. So Tesla, do you have it within you to maintain a mass share of the market, despite big name brands entering the industry?